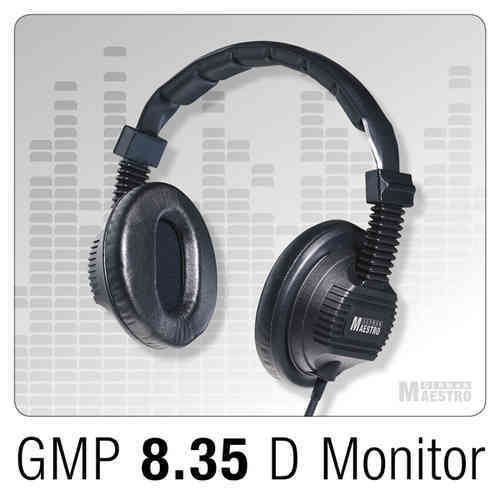 Home Theater Forum and Systems - HomeTheaterShack.com > HiFi Audio Components | Music > Headphones | Head Gear > Which headphones do you currently use? Re: Which headphones do you currently use? JBL Synchros S500 For music Bass(nicely controlled no boom), Mids and Highs, just whoa. 2) I bought a pair for my wife and listened to them against my Ultrasone PRO-550's. Straight out of the box, I liked everything about them. Comfortable fit, good isolation, and a genuinely nice sound. I'd argue that the Ultrasones are perhaps objectively flatter, but the slight contour in the response curve is extremely likable. In the last couple of months I've purchased a pair of HiFi Man HE-350's (from Massdrop) and a pair of Monolith M560's from Monoprice. If nothing else I've found that I prefer over the ear phones. However, I must admit that I've never been big on headphones. For me headphones do not produce any sort of sound-stage (binaural recordings excepted). To me a soundstage is the aural impression of musicians performing over there where my speakers used to be. For me headphones produce sound in pretty much a straight line through the middle of my head from one ear to the other. That IMO does not constitute a soundstage. At best I hear what I call a "headstage". With all that said, these recent acquisitions have prompted me to spend a lot more time listening through headphones. I'm currently using a bluetooth headset of Samsung. It's very convenient and light. There's no more wire that could go entangled on my neck. It has revolutionary features too. Sennheiser HD7 DJ, modded to fix a known squeak problem. I used tape in between the driver housing where it pivots at the blue round pin. Very easy fix, can provide a pic if needed. EQed the mid rage frequencys 500 to 1k down slightly to enjoy music more, removing the dj signature sound. Hooked up to the FXaudio dac-x6. Awesome sub bass doesn't distort at loud listening levels. Since my last post in this thread I've acquired a pair of Monolith M-300's and an Agptek Rocker 2 for WAM (walking around music). The M-300's are IEM planars. The Rocker 2 supports FLAC to 192/32 and DSD/dsf to 4X (256). It uses Micro SD cards (not included) 256gb max for storage. At $69 it's IMO a bargain. The Monolith M300's at $149 compare very favorably with the iSine IEM planar phones for considerably less money. This combination provides (IMO) exceptional sound for bargain basement prices. This setup has greatly enriched my traveling about the city. With a maximum storage of 256gb it (Rocker2) may not be enough for some. It is for me. I don't need to carry my entire collection with me, only my favorites. So 256gb is more than enough for me. It's all I need for portable use. These are the best headphones I have ever owned. Unbelievably durable. Strong noise isolation. Amazingly neutral tonality. Great resolution. A tad bit clampy though. Would buy another pair in a heartbeat if I actually needed to, but I don't and I've had them since 2014. If I had to make any complaints about them it's that they don't stage as well as open back headphones - they are utilitarian and that's why I love them. Great tonality again. Very portable and comfortable. These were worth every cent. The German Maestros are a bit better, but also pricier. Don't underestimate us! Whether it be time, space, or alternate realities, they mean nothing to us! We will pierce the path and methods you've chosen! That is who we are!